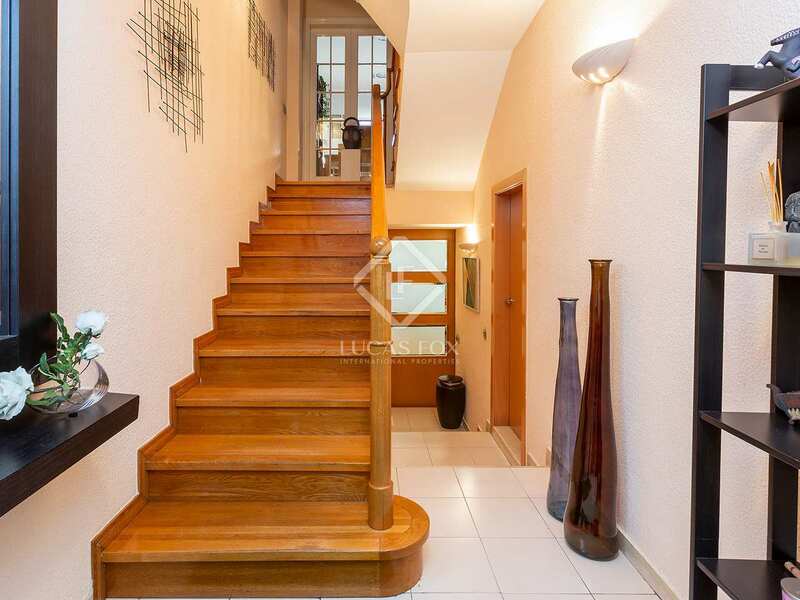 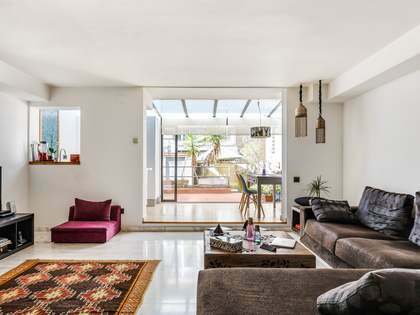 This splendid house with a built size of 207 m² is arranged over 3 exterior-facing floors and enjoys a spacious terrace on the same level as the kitchen and a beautiful patio garden on the living room level. 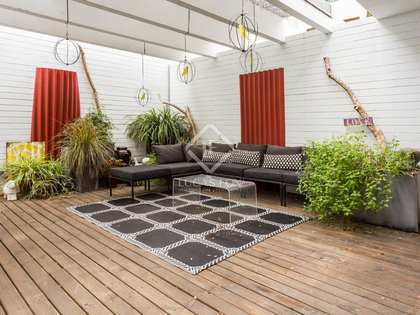 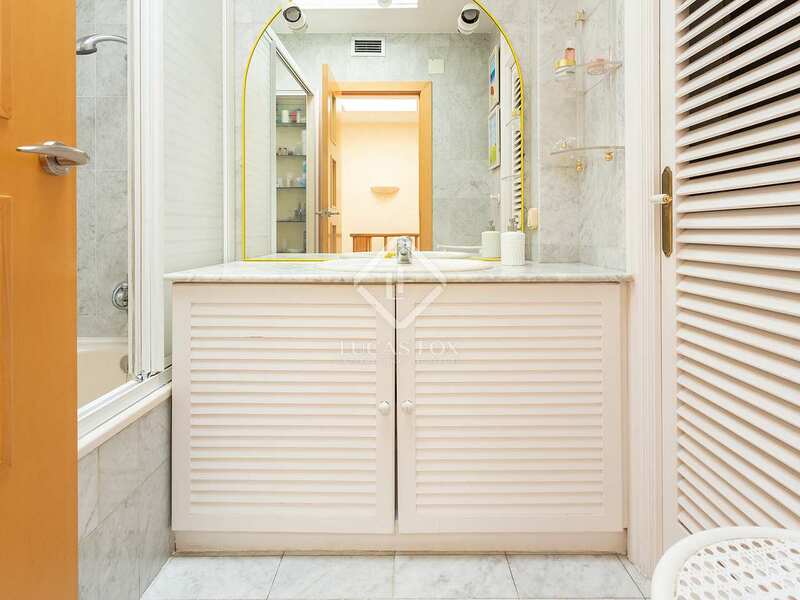 The house was updated in 2017, so it is presented in excellent condition and is located on a pleasant street with low-rise modernist-style houses. 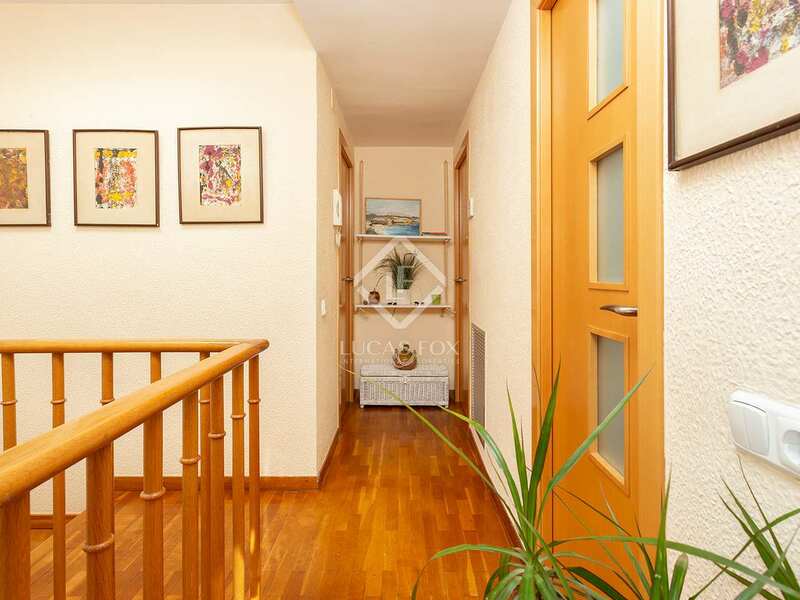 The ground floor, at street level, consists of a hall, a double bedroom, a bathroom and a toilet. 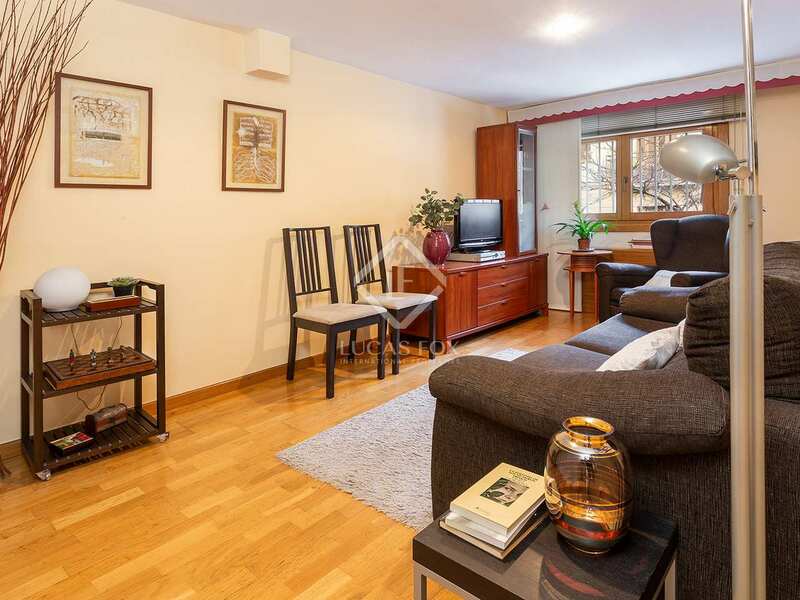 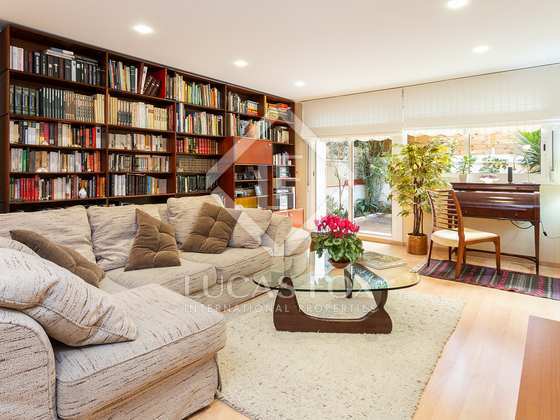 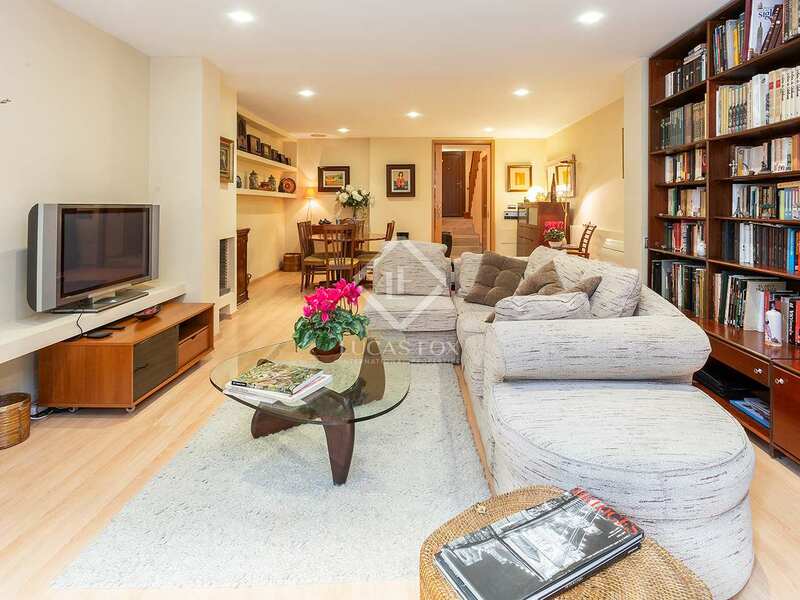 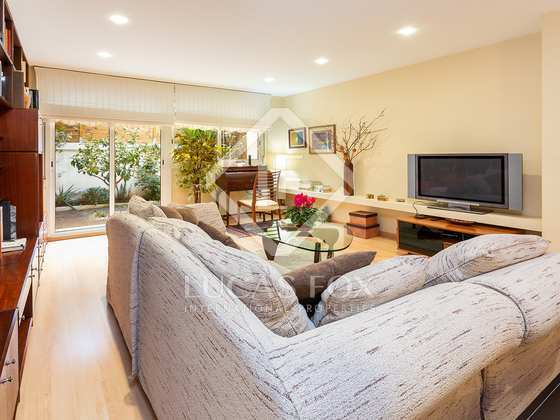 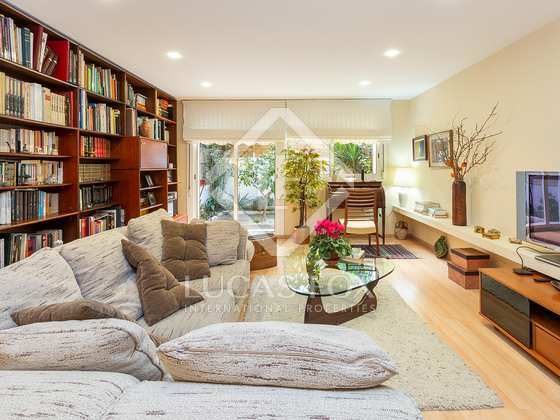 A large living room of 41 m² with abundant natural light with access to a pleasant 16 m² private patio garden. 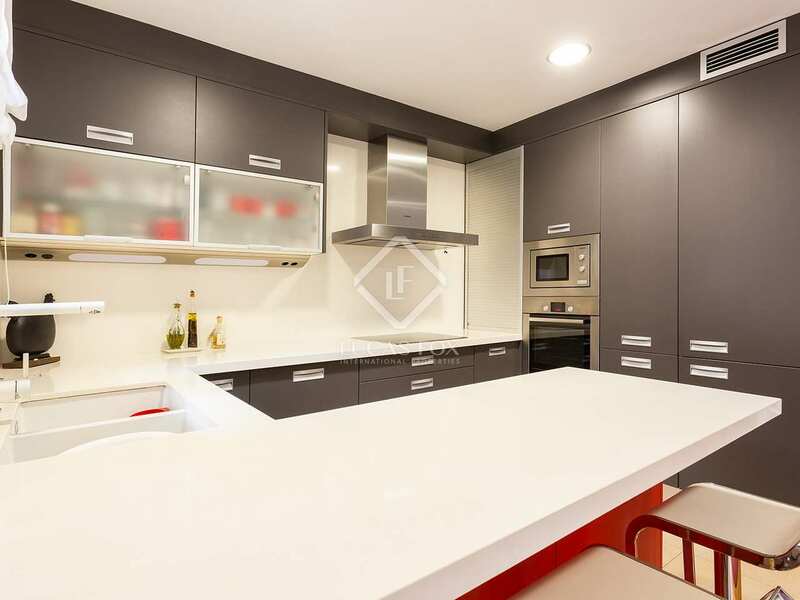 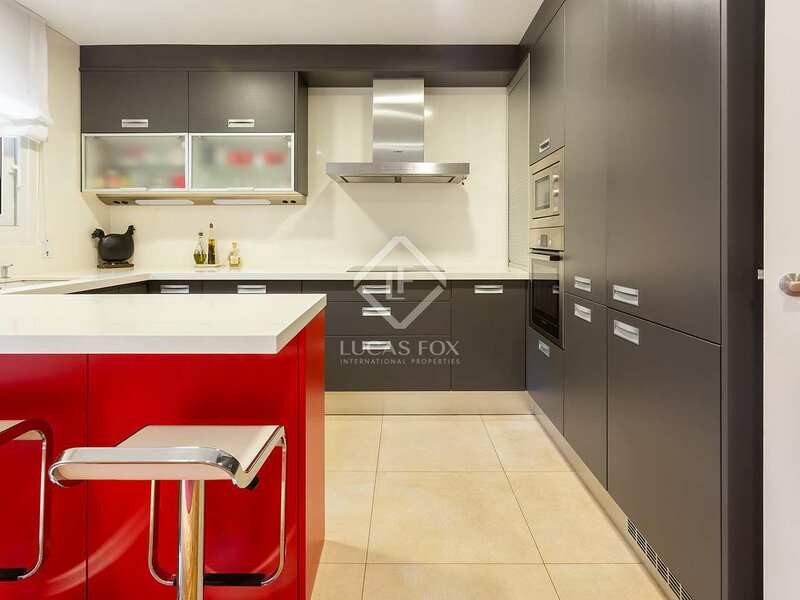 The first floor benefits from a modern renovated kitchen which is fully equipped with Bosch appliances. 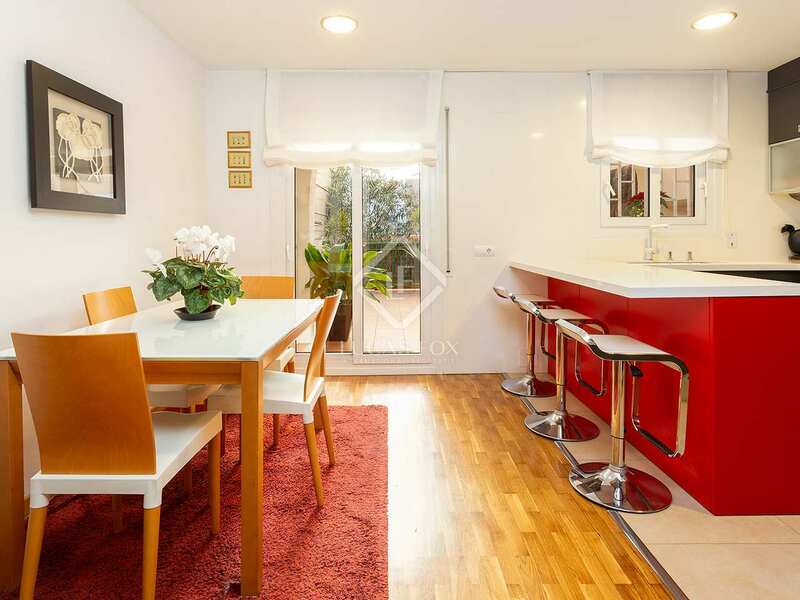 This room has a bar-dining area and access to a sunny and very private terrace of 23 m², ideal for a table and chairs where you can enjoy a pleasant breakfast on weekends. 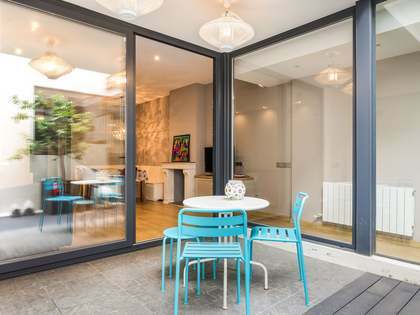 On the other side of this level, there is a second exterior-facing lounge that overlooks the street and an office that could be used as a double bedroom with a private bathroom. 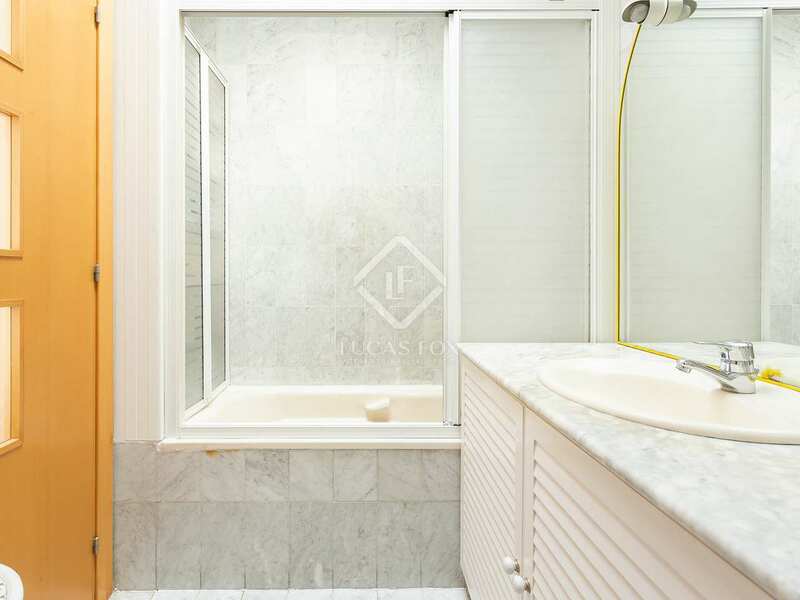 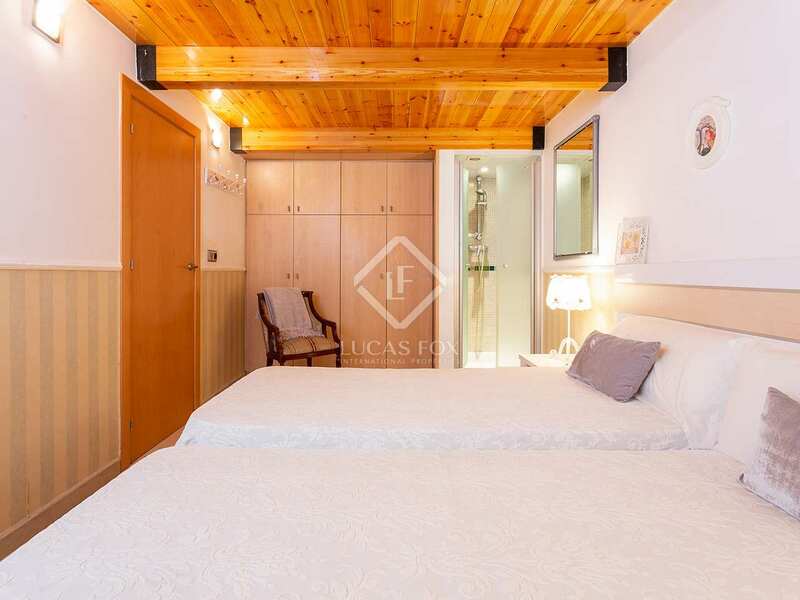 Finally, the second floor offers the night area, which houses a double bedroom with a street-facing balcony, 2 more exterior-facing bedrooms, one of them double with a balcony and views of the lower terrace, and a spacious bathroom that serves these rooms. 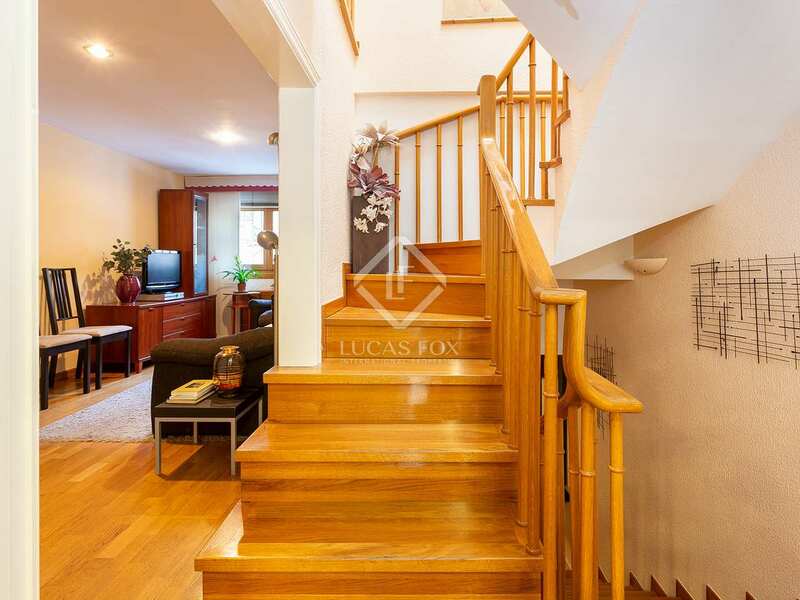 The house also has a spacious basement which can be accessed from the inside. 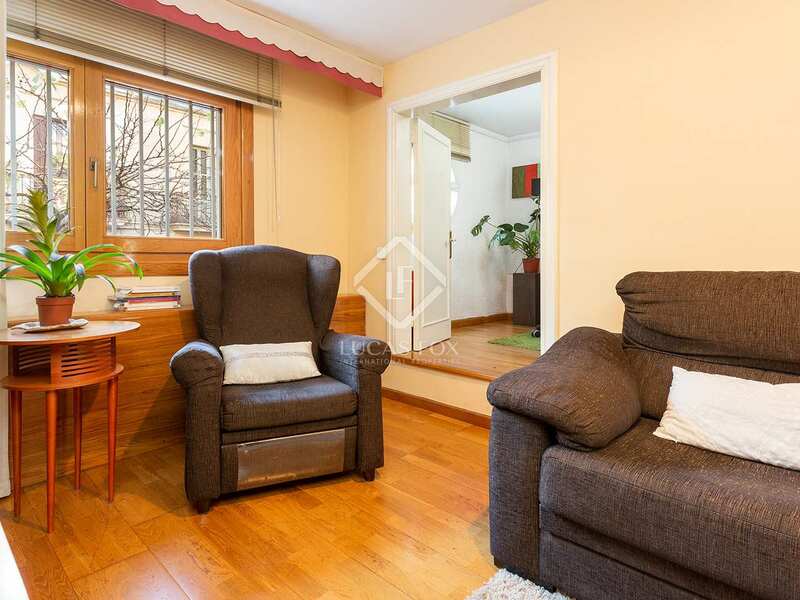 The house has beautiful wooden floors and is equipped with heating and air conditioning to ensure your comfort at any time of the year. 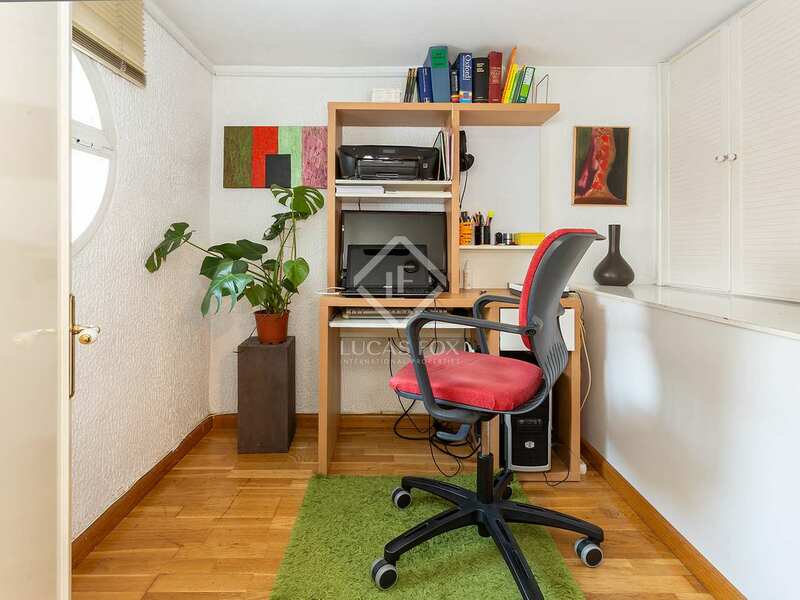 In addition, it is possible to acquire a closed private garage with storage space a few steps from the house for an additional price, if desired. 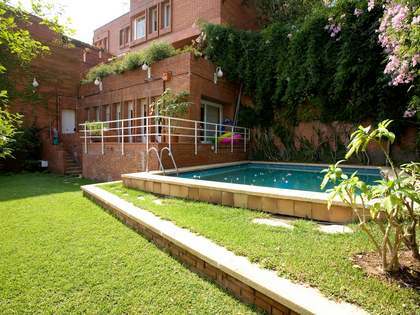 Contact us to visit this wonderful 3-storey house. 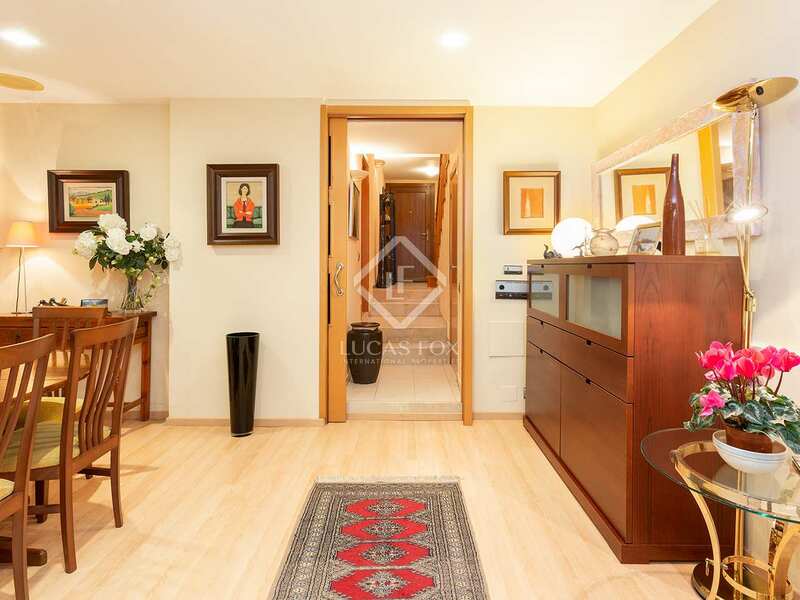 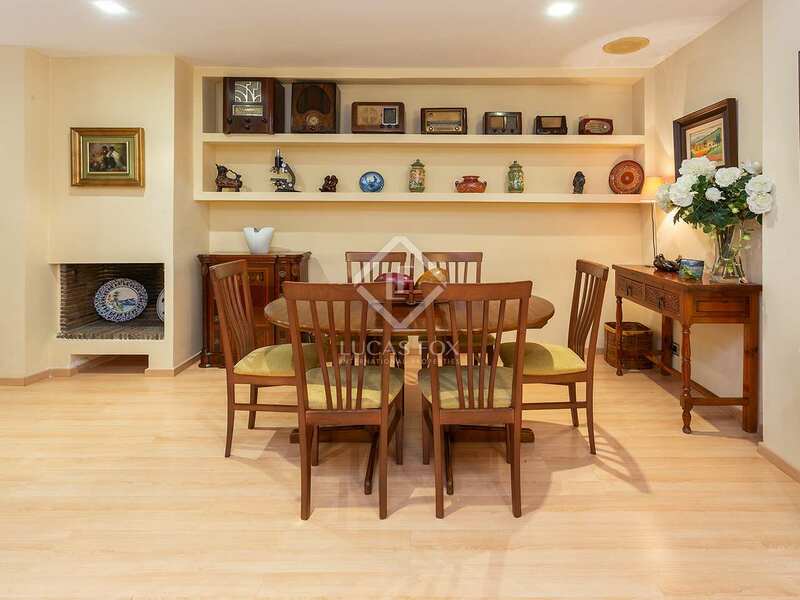 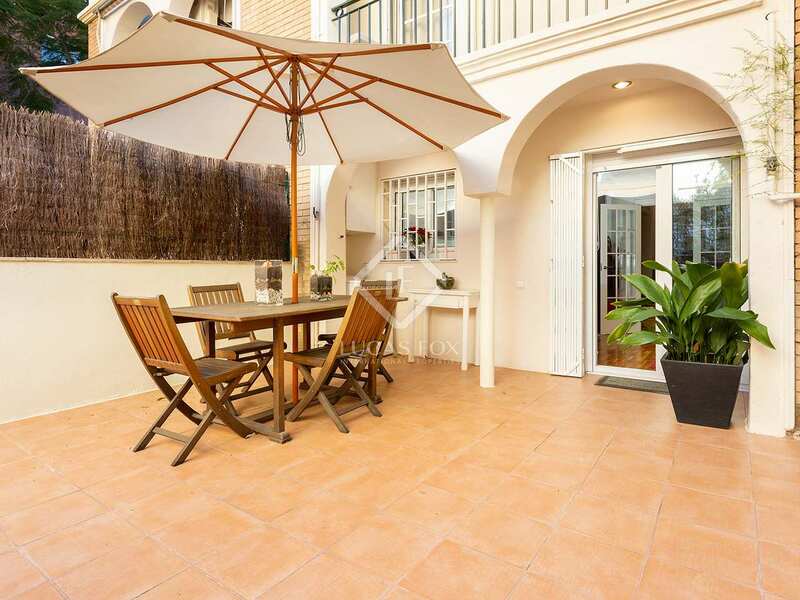 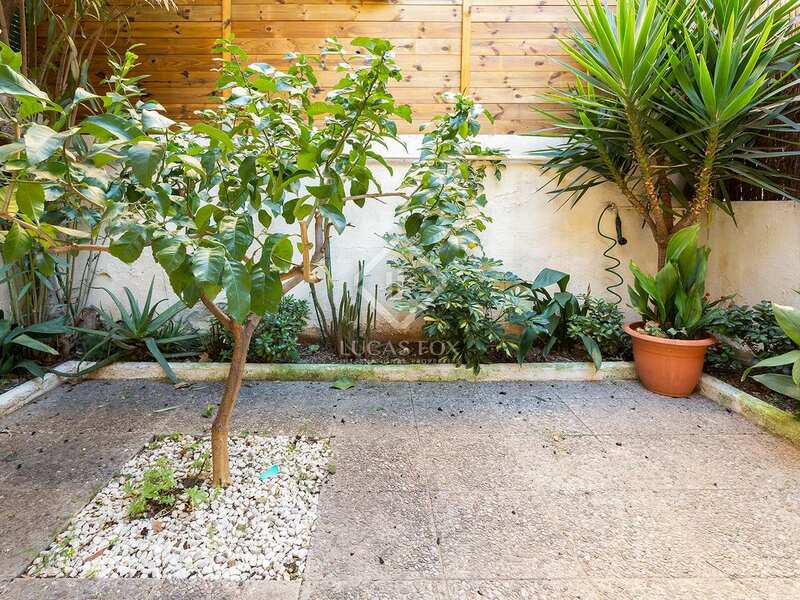 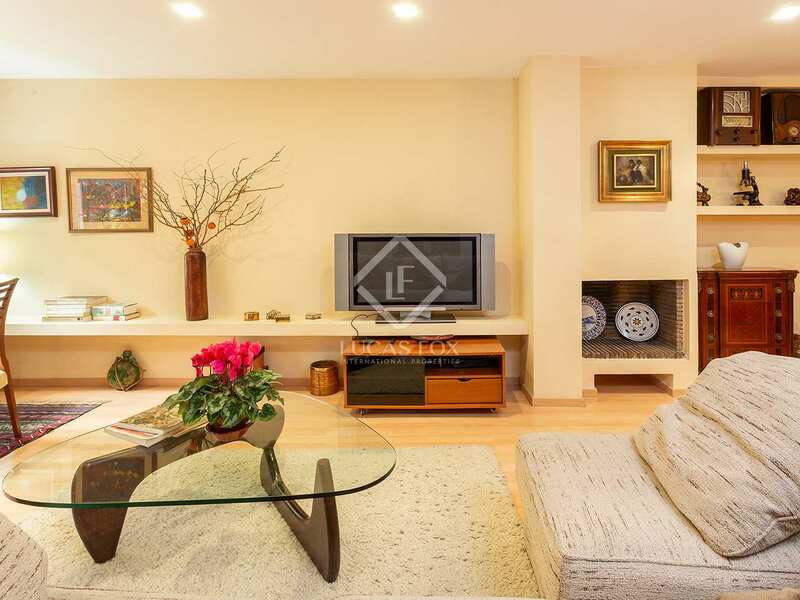 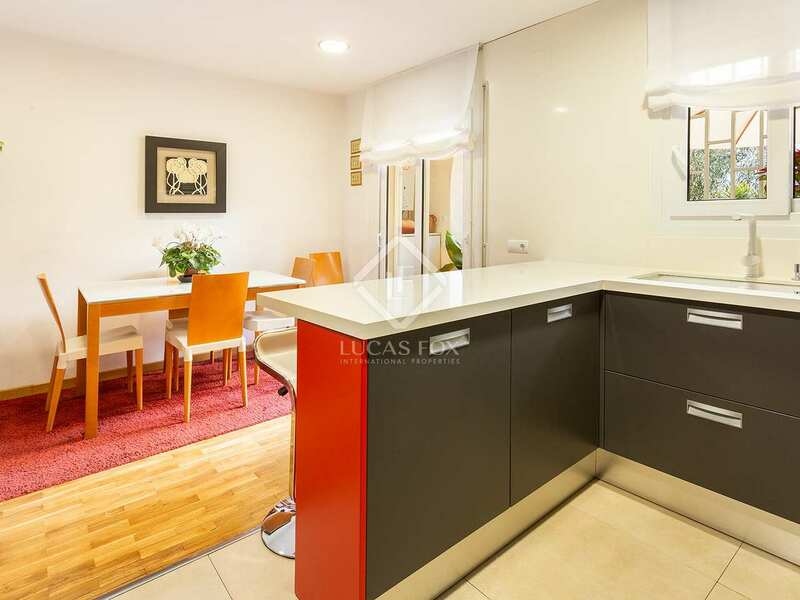 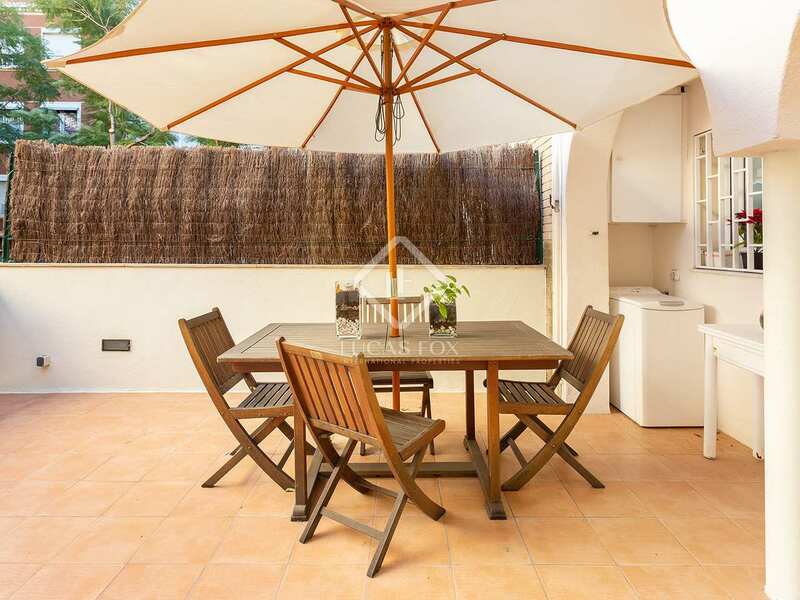 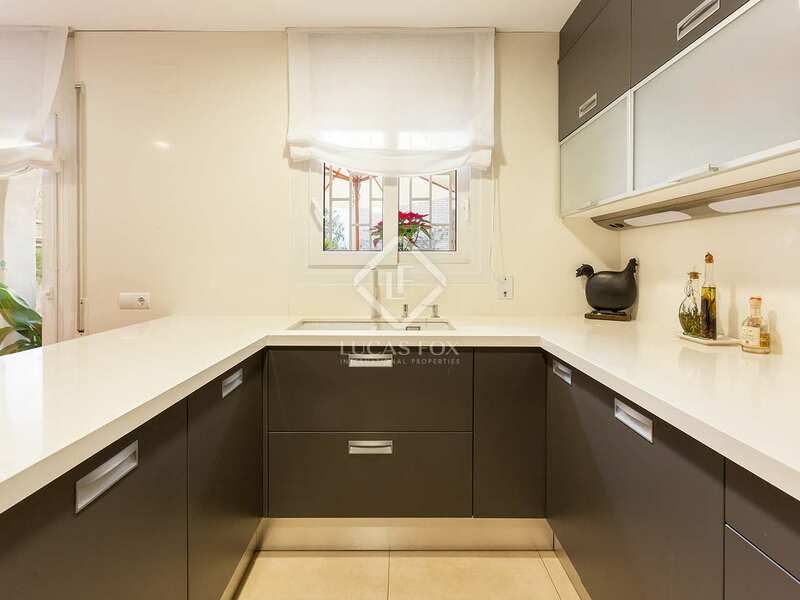 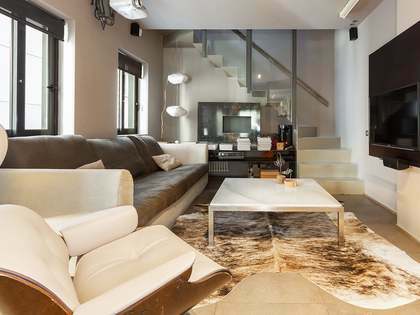 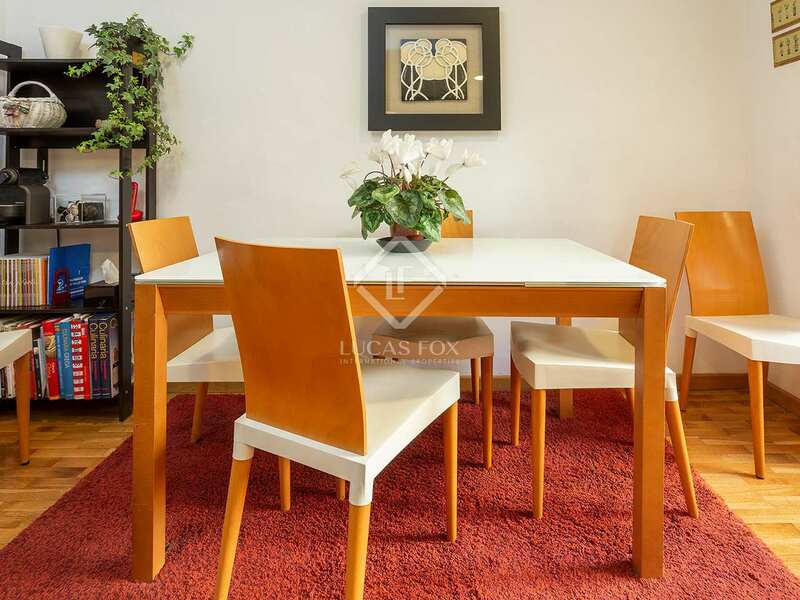 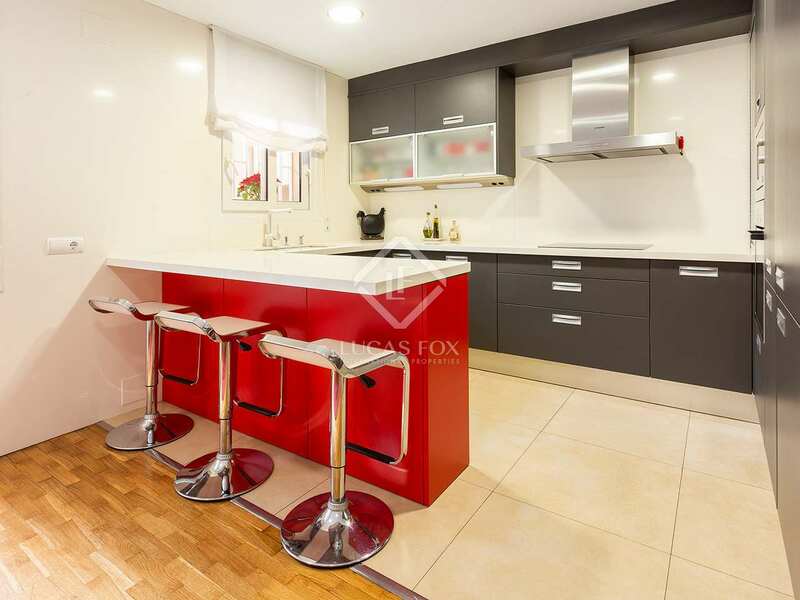 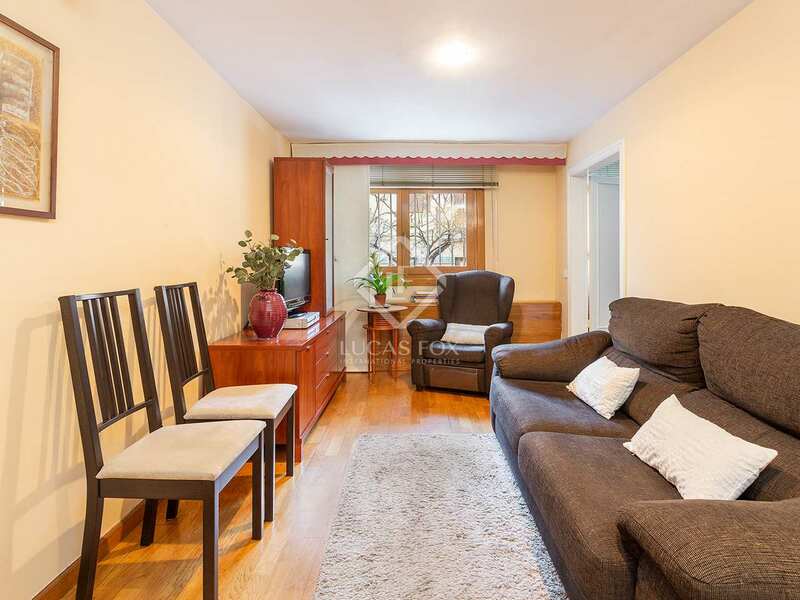 This house is located in Les Corts, on a very quiet and residential street, making it an ideal area for families. 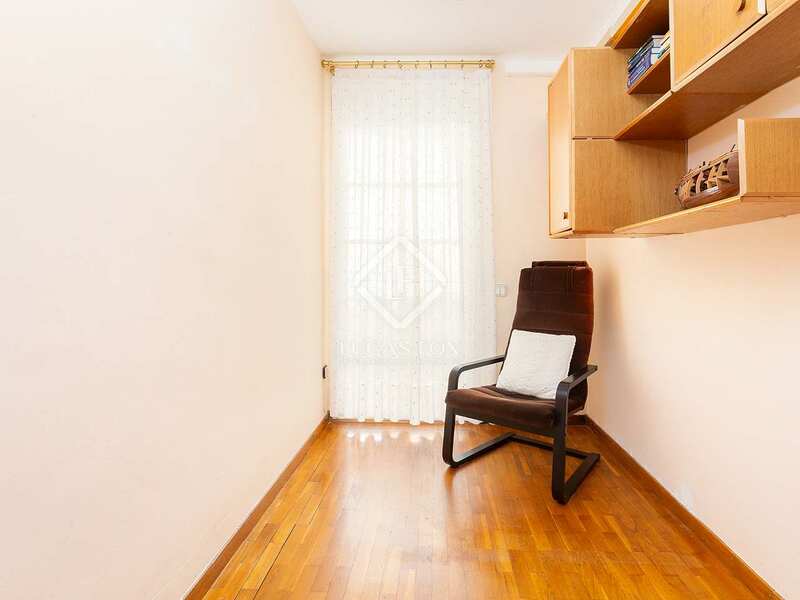 This neighbourhood offers all the necessary services so that you can live comfortably on a daily basis, such as shops of all kinds, supermarkets, pharmacies, health services, schools and universities. 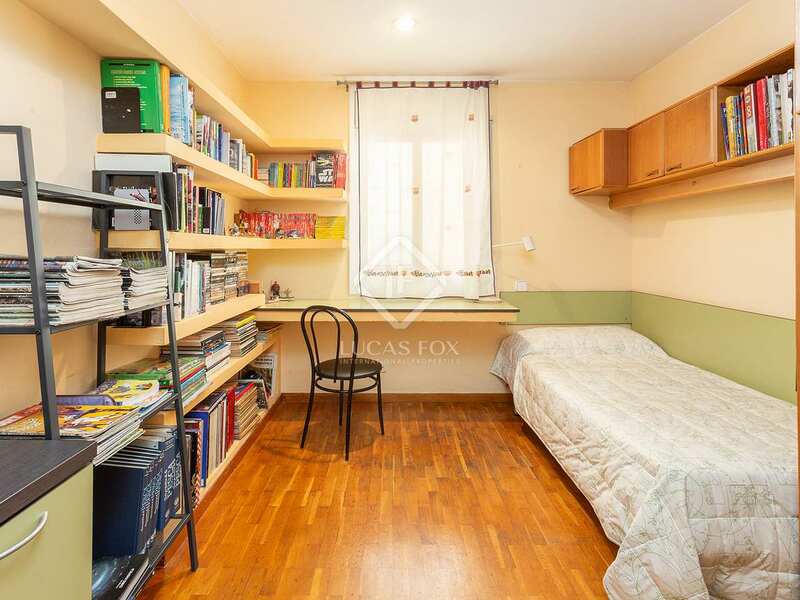 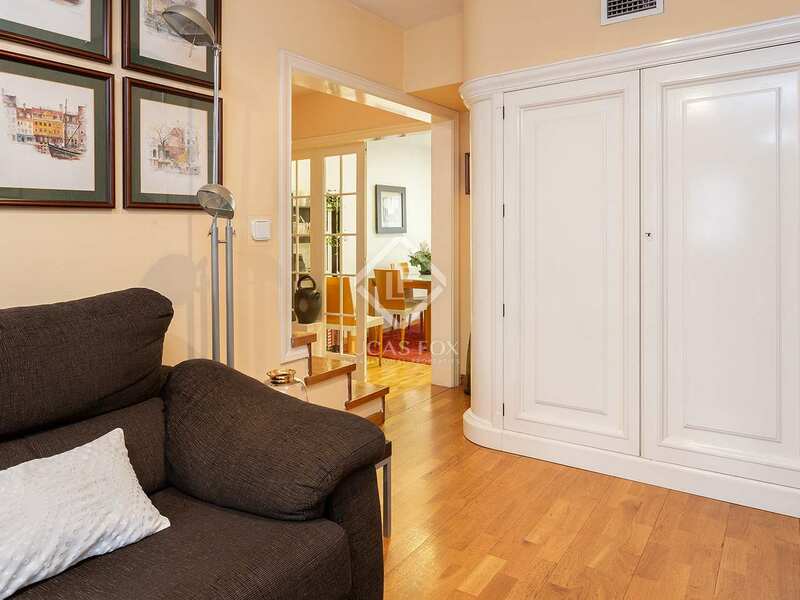 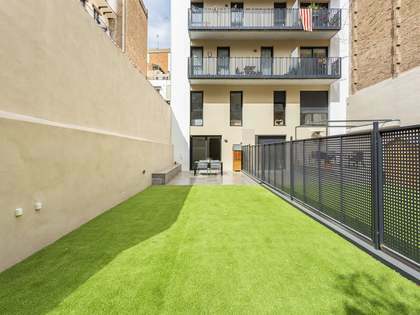 Furthermore, it enjoys a good public transport network, including both buses and metros, and a quick access to Avinguda Diagonal, providing easy access to and from the city.